Maharashtra takes pride in Malvan Marine Sanctuary; biologically, one of the richest coastal regions in India, which was brought on the world map in 1987. It's crystal clear water is home to the extremely rich coastal species that are unique to the region like sea anemones, mollusks, polychaetes, pearl oyster, corals, seaweed, and mangroves. 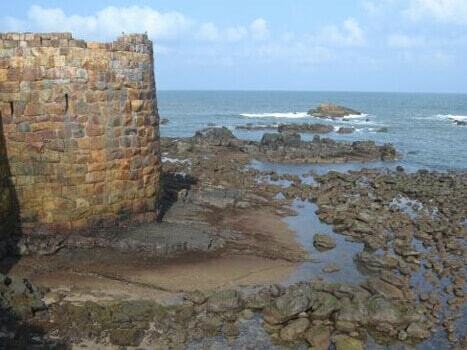 Malvan is beautiful and intriguing inside out. Somewhere like it's riveting deep underwater secrets, the place offers a beautiful view. Make a point to take the binoculars as there is possibility spot some rare bird species on this 29.22 square kilometers. To reach the Malvan Marine Sanctuary, tourists will have to take a boat from Malvan jetty. If lucky, there's the slightest possibility to spot dolphins. As such there's no particular entry or the exit gate of the Malvan marine wildlife sanctuary. It can be explored only by taking a boat. On a visit to Malvan Marine Sanctuary, one can go for a boat tour to explore the marine species. Also explore some nearby attractions like Sindhdurg fort, Tarakali Beach, Vengurla Beach and Golden sand beaches of Tondavali.